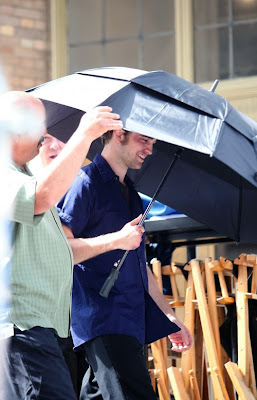 New pictures of Robert Pattinson on the set of Remember Me posted on Gossip Girls. 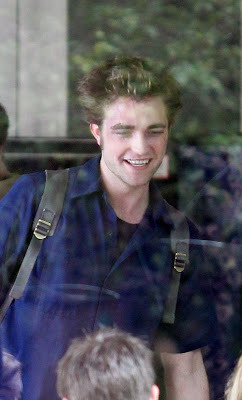 The pictures are of a bruised up Rob (no the crazed fans didn't get him) and yes they're fake bruises, so don't worry WearingWords! i told you, i think it's hot when i know it's fake. mmmm. and that smile makes my heart happy.